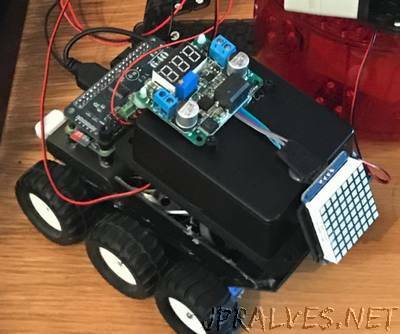 “I wanted to create a genuine 6 wheel drive robot where I had a motor controller that could power 6 motors whilst keeping the size down to the size of the raspberry pi zero. I found in the magpie magazine a feature on the darkwater.io product range and so ordered a 640 motor board a few months ago, I finally put it together and this is my blog about how I made the chassis and build using this board as well as feedback on what I found worked well and what needs improving in my design. I had 6 x micro metal gear motors which I found in testing would have been better if they were perhaps in the 100-200:1 ratio range as the vehicle drove much faster than I wanted. so when choosing a motor gearbox setup I would recommend ones not with a 1:50 ratio setup or lower.